The three face Rudraksha symbolizes God of fire, Agnidev. 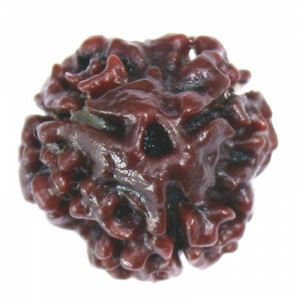 Just like how the fire burns and consumes everything it touches, the Rudraksha also destroys all the sins of the wearer. The power of the Trimurti Gods Brahma, Vishnu, Maheshwar is embedded in this rudraksha and provides great results to people involved in ‘Sadhana’ (people trying to attain God). It is a way of liberation from the past karmas and moving forward on the path of success. 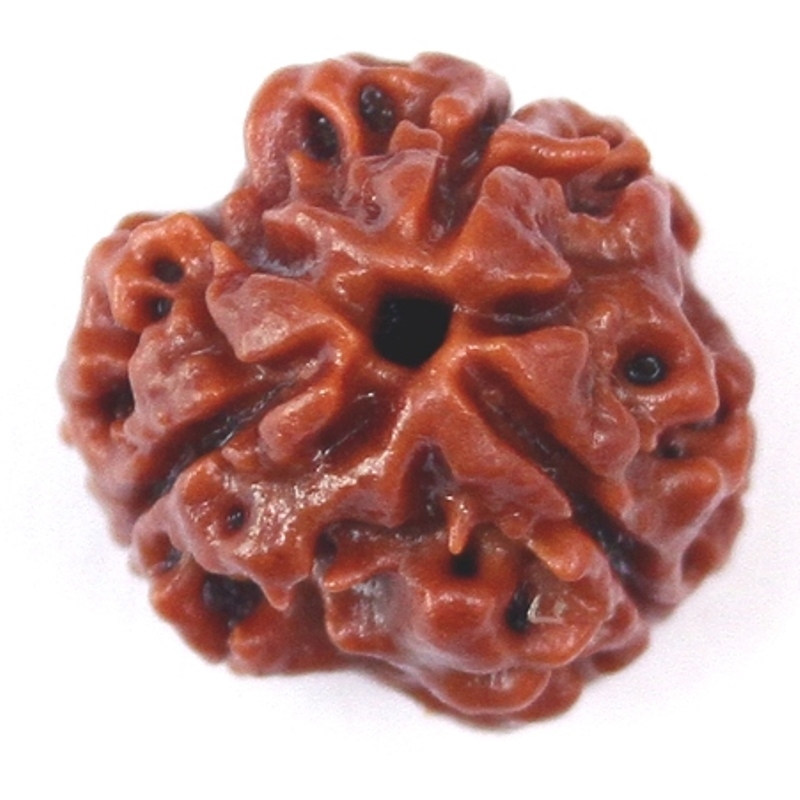 The auspicious bead is believed to help the wearer attain moksha or eternal peace. 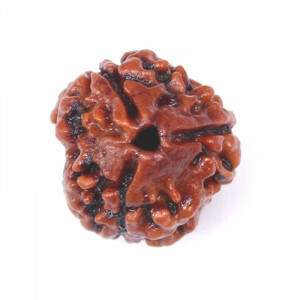 It also helps in the control of stress and improves thought process. The ruling planet is Mars. 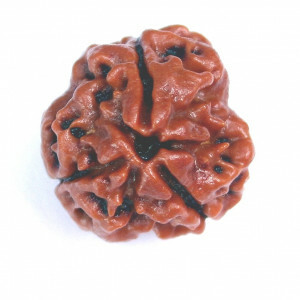 It reduces the stress caused by past sins and helps to attain success. 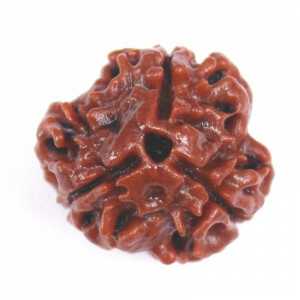 It can avoid obstacles due to the wearer's past karmas. It can prevent rebirth and assist attaining moksha. It helps in the overlooking memories of hurt, shame and anger. It boosts a person's self-esteem. It prevents stress that can cause ill health. 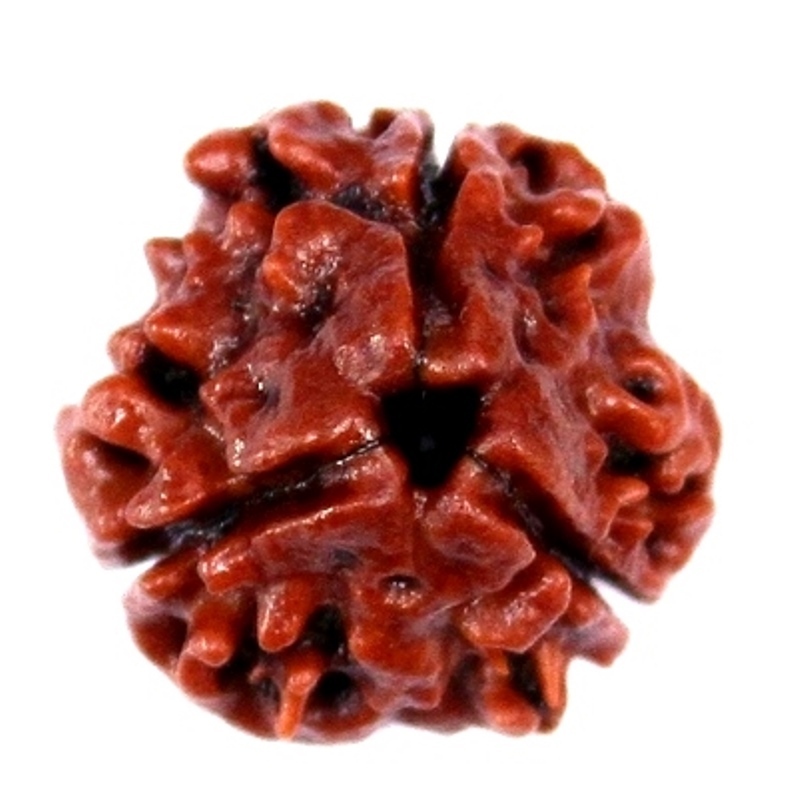 The Rudraksha can burn negative effects of past karmas. 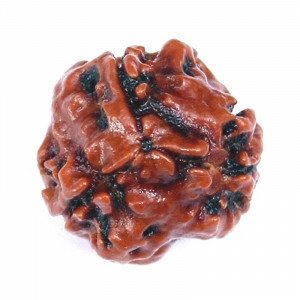 It gives the wearer power to face any problems fearlessly and win over them. Unemployed youngsters can find a job by wearing this sacred bead. It helps fight depression, anxiety, and guilt induced complexes. It helps in blood pressure control, regulation of menstrual cycle, chronic fever, and depression. 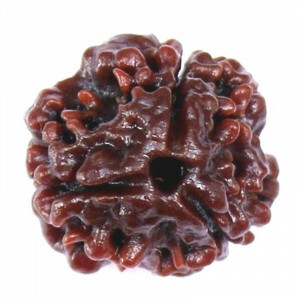 It cures stomach ailments such as acidity and stomach aches. It enhances the liver's health. It strengthens the digestive system. 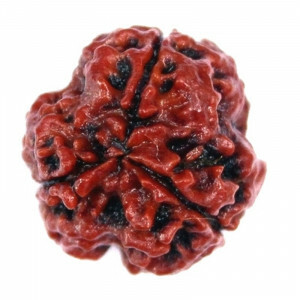 The three face Rudraksha should be worn only after Sidhhi (a method of purification), saying the prayers for the sanctification. It can be worn on all days of the week. Shiv Rattan Kendra, our proud venture, offers authentic and valuable rudrakshas. If you want to place an order, do it now.